The National Government of the Republic of West Papua (NGRWP) and the Unrepresented Nations and Peoples Organization (UNPO) will organize a conference on the possibility of improving the human rights situation of West Papuan refugees residing in Papua New Guinea and other states through identification and registration. 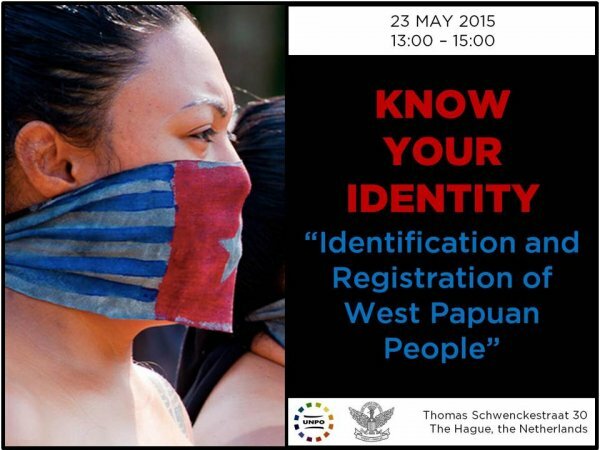 The conference, entitled 'Know your identity – Identification and registration of West Papuan People' will take place on 23 May 2015 from 13:00 to 15:00 in The Hague, the Netherlands. The conference will be preceded by the opening of the new office of the NGRWP in the Netherlands. According to the West Papua representative, the “registration of West Papuan people is very important, as this will enable the Papuan community to organize more effectively in safeguarding their culture and identity”. West Papuans have been victims of exclusion and discrimination of their own lands for decades. The Indonesian government does not only prevent West Papuans entitlement to their lands, but it also tries to erase their history, heritage, beliefs, religion and identity. However, human rights violations are rarely investigated and prosecuted by Indonesian security forces. Moreover, reporters and foreign media have been prevented access to West Papua by the Indonesian government for more than fifty years. It is therefore difficult to report and document the situation. The event will also provide an opportunity to hear cases from other Peoples who are the victim of oppression and statelessness and who struggle to gain more recognition.